Welcome from our new home at 38.89997 N, 77.04822 W. Over the summer, the department moved from Old Main, our home for nine years, to Phillips Hall. The plan is for the department to move again next summer into Samson Hall, which will undergo renovations this year. Getting ready for the move involved cleaning out cupboards, drawers, bookcases and file cabinets. We donated old textbooks and shredded thousands of old documents including exams from 2003 and term papers from 2005. In the process we re-discovered some long-forgotten gems, including old Polaroids of students who graduated years ago. This walk down memory lane got me to thinking. Every day I’m reminded our alumni remain involved with geography. Several of our alumni teach for us now; several other alumni have been instrumental in creating a network for our community mapping projects. Still other alumni have gone onto PhDs and are on the faculties of universities, continuing excellence in research. I hope the most important contribution geography has made is to convince you of the importance of learning and of the need to stay receptive to new ideas. We hope you are involved and engaged in your neighborhood, your community or at any scale. From time to time GW reminders may sound more like appeals for money—forgive us in advance and know that we care about you, and want to know what you’re doing and how you feel about what we’re doing. Please contribute your adventures to our next newsletter! Send us an email update! 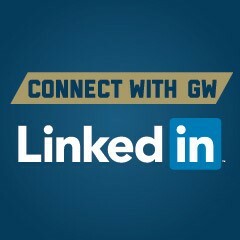 For those of you in the D.C. area, come join us for a Friday afternoon speaker or schedule a brown-bag lunch with our students—they are interested in learning about your journey after GW! In the meantime, I invite you to catch up on what the department has been doing this last year. 2016-2017 was a very good year. The AAG awarded us honorable mention as Master’s Program of Excellence, we continued pioneering work in open source mapping, and our faculty traveled extensively doing research and workshops in Siberia, Guatemala and Nepal. Dr. Wes Reisser, MA ’07, has been teaching Political Geography and Energy Resources at GW for the past eight years. His current grad seminar on Political Geography focuses on the nexus between maps and power throughout history, including an exploration on how maps were used in European conquest and in propaganda. Each spring, Wes teaches Energy Resources with a multidisciplinary approach to everything from coal to nuclear to wind and even future alternatives. He is very excited that the companion textbook for that course, entitled Energy Resources: From Science to Society, will be released February 1. Wes is an alumnus of GW, with a BA in International Affairs and History and an MA in Geography, so it is especially fun for him to maintain a close tie with his alma mater and especially with the Geography Department. Sophia Fisher, BA ’03, teaches Cities and Societies and Planning Cities. In Cities and Societies, students learn about the forces of globalization, urbanization, industrialization and deindustrialization, and how they interact with the geography of cities and other urban areas. In Planning Cities, students receive an introduction to urban planning, covering both history and current trends. Sophia finds that GW students are very engaged, and enjoys leading class discussions--even when the students ask her tough questions! Sophia took these two classes as a junior and is excited to be teaching the same classes that inspired her career in urban planning. Andrew Wiseman, BA '02 graduated from GW with a BA in geography and a minor in political science. At GW (then in Quigley's, where Tonic is now!) he focused on GIS and urban planning, thanks to encouragement from Professors Cheung, Price, McGrath and Lowe. After graduation he worked in various capacities in the GIS and cartography field, working for the District of Columbia Government's Office of Tax and Revenue and the city's GIS office for about five years. That was followed by seven years at the U.S. Agency for International Development's Office of Transition Initiatives where he spent time in Afghanistan, Pakistan, Haiti and Honduras working on data collection, GIS and data analysis, community mapping and cartography. He currently works for Apple on the Maps team. He has been a professor at GW since 2015, teaching Intro to Cartography and GIS to both undergraduates and graduate students. He lives in the Columbia Heights neighborhood in D.C.
Nuala Cowan, MA'04, returned to the department of Geography in 2013 to take on the directorship of the Graduate Certificate in GIS, on completion of her doctorate at the GW Institute of Crisis Disaster & Risk Management (ICDRM) in 2013. She has developed and taught several courses for the department, with a particular interest in open data and technologies. In 2015 she co-founded the Youthmappers program, (with colleagues in Texas Tech and the University of West Virginia) a USAID-sponsored initiative to engage college youth in mapping societies and to sponsor education and research in the use of open data for development. In January, Nuala will be leaving her full time position with GWU for a new opportunity with the Open Data for Resilience team at the World Bank. The OpenDRI group is part of the Global Facility for Disaster Reduction and Recovery, and looks specifically at the application of open geospatial data to understand risk, and prepare communities for disasters. She will maintain her teaching and research affiliations at the Department of Geography. Graduate students Andrii Berdnyk, MS ’17, and Sudie Brown, MS ’17, and Professors Nuala Cowan and Marie Price teamed up with the Pan American Development Foundation (PADF) this March to bring digital mapping tools to vulnerable communities in Guatemala. The goal was to make life-saving information available to local planners, humanitarian aid workers and the community members themselves. Their work was part of a global initiative called Missing Maps, which aimed to improve the disaster preparation and the delivery of humanitarian assistance by mapping the world’s most vulnerable places. The project began with students at the George Washington University remotely tracing buildings and roads in Ciudad Satélite onto Open Street Map from satellite imagery. When in Guatemala, the research team worked with community members to validate and correct the maps using field papers. Community members conducted surveys on the status of buildings as well as talked to household members to understand the threats faced by residents and the resources they had to combat them. The team collected over 100 exterior building surveys and 49 household surveys. By the end of the week, a community that was virtually invisible on Google Maps was fully mapped on Open Street Map (OSM). The survey results and OSM edits were used for creating maps that were then shared with the community for planning purposes. Thanks to this collaboration, PADF plans on recruiting geography graduate students each year to assist with various projects on household vulnerability, infrastructure and disaster preparedness. This summer, a group of 20 students and a professors from the George Washington University and Moscow State University embarked on a month long trip to Siberia. They worked together to examine the environmental, economic and social aspects of life in the Arctic. They gathered measurements on permafrost depth and soil temperature as they trekked through the swampy and mosquito infested lands of the tundra. By examining city infrastructure, they saw the deformations caused in buildings due to warmer weather melting the foundation of permafrost beneath them. To get a closer look at Arctic cites, the team walked through Vorkuta and Salekhard, two cities contrasting both economically and socially. In Salekhard, they saw a growing city whose economy thrives on oil. They met with members of the Arctic Center who told them of their initiative to encourage higher education and promote research that focuses on the Arctic. Geography graduate student Nina Feldman and research assistant Loeka Jongejans from Alfred Wegener Institute for Polar and Marine Research. Afterwards, the team took a train to Vorkuta, a shrinking city whose history has deep ties to the coal industry. They toured the Mining and Engineering College and met with Vorkuta’s city managers who spoke of the cities need to condense such a large abandoned mining metropolis into a smaller, more efficient city. Throughout the entire trip, the team learned the reality of living in the Arctic from the citizens of large urban cities as well as the indigenous people who live in remote villages. Read more about the trip in the CCAS Spotlight newsmagazine. Twenty students from 11 different countries converged in Kathmandu, Nepal, in May 2017 for the inaugural YouthMappers Fellows Leadership Workshop. YouthMappers is a network of university affiliated chapters from around the world (currently 74 chapters in 24 countries) which creates free and open geospatial data used to address specific development objectives in USAID affiliated countries. GW Geography, led by faculty Nuala Cowan and Richard Hinton, partners with USAID GeoCenter to identify specific data creation tasks for which YouthMappers students create localized geospatial data to support development goals, inform humanitarian efforts, and to help communities prepare for disasters. In addition to instruction in leadership and research methods, YouthMappers Fellows were introduced to several different types of open source software, open source apps and field data collection workflows. These sessions were taught by GW Professors Nuala Cowan and Richard Hinton, and assisted by Professor Joseph Dymond. Many of the YouthMappers student fellows come from countries where proprietary software is extremely expensive and data is either expensive or non-existent. Open-source solutions are an extremely important and viable alternative, especially for youth and community-driven disaster preparedness and planning. Dr. Ginger Allington is excited to join the Geography Department in January 2018. She received her BS from Sarah Lawrence College in 2001 and her PhD from Saint Louis University in 2012. One of the main courses she will be teaching is Biogeography. Biogeography is an ideal course for any geography student who has ever wondered why early societies developed in certain places, what influences the spatial and temporal organization of biodiversity or how the influence of humans is reshaping these patterns. Dr. Allington explores why and how ecosystems change in response to changes in management and climate, and what this means for the future resilience of social-ecological systems. Her research focuses on drivers and consequences of degradation in arid rangelands, primarily in the southwestern United States and in northern China and Mongolia. Dr. Allington is also involved in research on global spatial-temporal patterns of biodiversity change, and advancing the way we model land cover change in arid lands. Most of her research involves a combination of fieldwork, data synthesis and modeling to find ways to integrate natural and social science data, using tools and methods from ecology, geography, remote sensing and more. In addition to her research and academic positions, Dr. Allington also worked for a number of years doing stewardship and natural resource management work for The Nature Conservancy, the New York City Department of Parks and Recreation and the Missouri Botanical Garden. She lives in Prince George’s County, Md., with her husband, two sons and a Boston terrier. Professor Lisa Benton-Short receives 2016 John Brinkerhoff Jackson Prize at AAG meeting in Boston, April 2017. Professor Lisa Benton-Short was awarded the 2016 John Brinkerhoff Jackson Prize for her book The National Mall: No Ordinary Public Space. She is only the second woman to win the award. The Jackson Prize was established to encourage and reward American geographers who write books about the United States which convey the insights of professional geography in language that is interesting and attractive to a lay audience. The Jackson Prize of the AAG is dedicated to encouraging the kind of thinking and writing to which J. B. Jackson devoted much of his life: to encourage Americans to look thoughtfully at the human geography of their own country and to convey that understanding to the public at large. Kudos to Professors Nuala Cowan, Richard Hinton, and Steven Johnson for leading a spectacularly successful workshop for high school advance placement human geography teachers. The workshop took place in November 2016 at the American Geographic Society (AGS) Symposium. The symposium was organized by Professor Marie Price, AGS president. Under Marie’s leadership, she secured funding from Boundless to support 50 AP human geography high school teachers to learn about ways to integrate student service-learning and Open Street Map into the curriculum. Professor Lisa Benton-Short published an article about the role of the National Mall in presidential inaugurations in The Conversation. Professor Michael Mann’s research was featured in a GW Today story about climate change. His study found that local weather may play an important role in determining Americans’ belief in climate change. Americans who recently experienced record low temperatures are less likely to belief the Earth is warming compared to those who have experienced highs. Professor Michael Mann’s research was featured in a GW Today story about climate change. His study found that local weather may play an important role in determining Americans’ belief in climate change. Americans who recently experienced record low temperatures are less likely to belief the Earth is warming compared to those who have experienced highs. Professor Marie Price gave a Keynote talk at the Urban Studies Forum at the University of Washington, Tacoma on immigrants and cities. She was also quoted by Voice of America in the article “Trump Wants to Admit Immigrants Based on Job Skills." Professor Wesley Reisser, an alumni and adjunct professor at the department, received the UNA-NCA F. Allen “Tex” Harris Human Rights Diplomacy Award for his work in LGBT human rights. Geography Professor Brenden Hurley goes bananas for GIS at Halloween Professor Brendan Hurley, an adjunct professor at the department, has a knack for making geospatial statistics appealing to our students (shocker!). Dr. Qin Yu welcomed son Ruizhi Zhang on August 5, 2017. Professor Michael Mann welcomed daughter Sophia on July 31, 2017. Lisa Benton-Short and Marie Price receive the Departmental Honorable Mention award as a Department of Excellence at the AAG Awards Luncheon in Boston in April 2017. The MAD World Geography Bowl team included three GW geographers at the Championships in Boston in April 2017. More than 100 geography students, faculty and alumni gathered for the 3rd Annual Dorn C. McGrath Lecture on March 3, 2017. The lecture featured Australian Planner and Sustainability Professor, Dr. Peter Newman, whose lecture was titled “The End of Automobile Dependence.” Peter Newman is the professor of sustainability at Curtin University in Perth, Australia. He has written 19 books and over 300 papers on sustainable cities. Dr. Newman’s talk showed that cities are reducing in car use, reversing their sprawl and becoming more aware of their need to reduce automobile dependence to enable their economies to work better. He traced this historic change over the past decades and in different parts of the world and the discussed how best practice examples can indicate how we need to proceed. In November 2016, the GW Geography Bowl Team won first place at the Annual MAD-AAG Conference. Team members included geography MS students Amanda Fletcher, Johnwilliam Carroll and Kean McDermott; and geography BA students Melissa Morgan and Patrick Nahhas. Kean McDermott was awarded MVP—continuing the fine tradition of MVP performances among GW Geography Bowl teams! The long-standing tradition of the Geography Alumni/Seniors Networking Dinner continued in fall 2016. More than 30 seniors met about a dozen alumni to learn strategies for job searches, emerging trends and opportunities and how to market the geography degree. A big thanks to our fabulous alumni who spent the evening with us! If you are interested in volunteering with the Geography Department and/or GW, please click here. GW Geography alumni and seniors discuss job strategies, the importance of networking, and trends in jobs for geographers. Geography Alumni at the 20th Annual Senior-Alumni networking dinner include: Tom Burns, Allison Kraus, Victor Ecarma, Alex Pommer, Rhys Young, Raynell Cooper, Sophia Fisher, Kathleena Mumford, Alex Lefevre, Kyle Cole, Summer Newman, Chris Hart, Kean McDermott, Richard Barad, Ellyse Murphy, Harry Bergman and Allison Carr. The culminating experience for a geography student at GW is the Senior Fieldtrip to Mason Neck State Park in Lorton, Virginia. During this trip, students work in small groups to refine their final project ideas and do the research necessary to complete what will be their most significant assignment to date. Not only is it a chance for students to get out of the city and go camping, it is also a way to connect with other geography students and professors. Students had a great time sharing stories and songs around the campfire while their professors/chaperones cooked meals and provided project guidance. There can never be too much chips and salsa! Marie Price, Jacob Pavlick and Lisa Benton-Short flash geography signs. The Annual Geography Holiday party was a great opportunity for faculty, graduate students, and alumni to connect and celebrate. This year the party featured an Ugly Sweater contest. It was difficult to judge, as there were so many deserving sweaters! Please join us next year and wear your ugliest holiday sweater! The first annual Ugly Sweater Contest. Judges decided that everyone was a winner—although honorable mention was awarded to Joe Chestnut and Andrew Weisman! The department toasted to the many years Ivan Cheung taught for the department. He’s taking a break, but we hope he will return! The Annual Geography Ping Pong Tournament was held at Comet Bar in March 2017. The event brought geography faculty, students and alumni together. This year’s winner, Vivien Deparday, took the trophy to the World Bank, until we win it back next year! Joe Dymond presents the 2nd Place award to Declan Cullen. Erik Bethke, MS ’17, and graduate students Sam Guilford and Eddie Painter, enjoy the championship match of the Ping Pong Challenge. David Rain slams a winning serve across the table. The first-ever environmental studies capstone camping trip on April 14-16 took 18 environmental studies students accompanied by Professor David Rain to Camp Catoctin in Thurmont, Md. Students hiked in the area, prepared meals, swam, canoed and built raging bonfires. On Saturday morning the students presented the results of their group research. Topics for the presentations included solar energy, pollution in Rock Creek Park, grocery availability and prices for all eight wards of the District and lead pipe corrosion on GW’s Foggy Bottom campus. It is a very suitable culminating experience for the major, and hopefully the first in a long tradition. Environmental Studies Class of 2017! Connor Horgan grew up in Scituate, Mass., and received his BA in international affairs from the George Washington University. After studying the politics of Sub-Saharan Africa in his undergrad, Connor became interested in the regions potential for renewable resources. Paired with an internship with the U.S. State Department’s Bureau of Oceans and International Environmental and Scientific Affairs, his focus broadened to include the role of fresh water on nation building and the mitigation of trans-boundary water conflicts. He plans to combine GIS and remote sensing images to analyze countries claims to fresh water resources via rivers. In his free time, Connor enjoys to cook, fence and play the baritone saxophone. Originally from Ethiopia, Adane "Eddie" Bedada completed his bachelor’s and master’s degrees in geography and environmental studies focused on GIS and Remote Sensing applications. Before joining the graduate program, he worked as GIS analyst in Atlanta, Ga., where he created data products for a statewide energy efficiency project. His primary research focuses on urban sustainability and he hopes to develop geospatial models and data visualizations depicting urban related issues. In his free time, he enjoys hiking, discovering new coffee shops, and catching up on soccer games. Jenny Mannix is a recent graduate from the George Washington University with a BA in international affairs and geography, and a minor in GIS. She first fell in love with geography after taking both introductory geography courses during her sophomore year and discovered her true passion for GIS in following courses. Her interests reside within the realm of disaster management and open source GIS with a specific focus on water resources. Aside from her interests in GIS, she is an avid tennis player and a lover of all things lime green. Kathleena Mumford graduated from GW with her BA in geography and a minor in GIS in 2012. During her time at GW, she interned with Esri, and then spent the summer following graduation as a GIS architect and database designer for an archaeological survey in Jordan. She is now a geographer for the Department of State in the Office of the Geographer and Global Issues focusing on South Asia and has a 3-year-old daughter. Kathleena also makes time outside her studies and work to train for and run marathons. Molly Quirk has apprenticed at several vineyards across the Mid-Atlantic as well as in Italy. She cut her teeth in the wine industry while studying oenology in Paris and has since worked at various capacities in wine production, importing and distribution. Earning her Master of Science in geography and geospatial technology, she hopes to widen the conversation surrounding precision viticulture in Virginia. Nina Feldman is originally from New York and got her BA in environmental studies at the George Washington University. She has done fieldwork in Siberia as part of the Arctic PIRE project which works to learn more about Arctic urban sustainability. She also enjoys working with YouthMappers, a program that encourages university students around the world to use mapping to define their communities and help with global challenges. Her favorite part of studying geography is when it includes using GIS and remote sensing. Apart from her studies in geography, Nina’s hobbies consist of hiking National Parks, adding to her map collection and being a neighborhood dog walker in the D.C. area. After growing up in Chicago and moving to central Florida, Olivia Napper graduated in May 2017 from Florida International University in Miami with a BA in international relations. She has interests in displacement and water issues, climate change resilience in developing countries and GIS mapping for humanitarian assistance. She is excited to serve as a student intern for the Humanitarian Information Unit at the U.S. State Department's Bureau of Intelligence and Research this fall. In the future, she hopes to work in international development or in intelligence at agencies like the National Geospatial Intelligence Agency, USAID or UNICEF. Patrick Geiger graduated from the George Washington University with a double major in geography and international affairs and a minor in GIS in May of 2017. As an undergraduate, he also served as general manager for the campus radio station and led an Alternative Spring Break trip to Otavalo, Ecuador. Through his extracurricular activities and his professional experiences with the International Rescue Committee and National Parks Conservation Association, Patrick has developed an interest in human-nature dialectics, indigenous social movements and globalization studies. Outside of the classroom, Patrick is an avid golfer, hiker and follower of English football. Ryan Corcoran grew up in Hopewell Junction, N.Y., and graduated with a BS in environmental geography and government from the College of William and Mary in 2016. His geographic interests include green infrastructure and fluvial modeling, and he has experience with GIS and remote sensing projects. Ryan is a lifelong lover of the great outdoors and enjoys book club discussions, antiquing, golfing, skiing, trivia nights and dogs. Tommy Elms is a master’s student whose study interests include health geography, remote sensing and audio geography. His interests outside of the classroom include songwriting, audio engineering and skateboarding. Tommy plays in several bands around the beltway and is an avid gear collector. Toni Hornes Sullivan is a Baltimore native with a BA in history from Morgan State University. After taking a Geography 101 course, she became interested in urban spaces and migration. She plans to weave together geography, film and literature in her future research efforts, centering on migration to and within urban spaces and the transformations that happen as a result. In her spare time, Toni enjoys watching PhD vlogs and writing poetry. She plans to publish sometime in the future. Congratulations to Jacob Milley, Elijah Aquilina and Steven Chao for being inducted into Gamma Theta Upsilon (GTU), the International Geographical Honor Society. The inductees earned their place in the honor society based on their overall and geography major GPAs. GTU, founded in 1928, furthers professional interest in geography, encourages geography student research, awards funds for graduate study in geography and advances the status of the discipline for study and investigation. We are very proud of our GTU inductees and wish them well as ambassadors for the Geography Department at GW and for the discipline of geography. On May 19, 2017, Columbian College graduate students were recognized for their achievement in the arts and sciences as they completed their master's and doctoral degrees. The department is very proud of the accomplishments of geography undergraduate and graduate students and hopes that enriching and fulfilling experiences at GW will lead them to wonderful opportunities to shape their future careers. Andrii Berdnyk and Sudie Brown: "Yo Me Preparo" and Open Source Mapping in Mixco, Guatemala. Katherine Cann: Contraction and Conversion: Washington, D.C.'s Chinatown. Joseph Chestnut: From Rails to Riches: Examining the Planning of The Washington Metropolitan Area Transit Authority and Transit Oriented Development. Andrew Copenhaver: Predicting Population Density in two Ghanaian Cities Using Census Data and Multiple Imagery-Derived Features. Grace Doherty: Reinterpreting Rural Poverty through Participatory Mapping in Morocco. Kean McDermott: Inventing North End Shaw, Performance, Identity and Branding in a Gentrified Washington, D.C.
Forrest Melvin: Diverse socio-ecological drivers of Alaska Native migration in Arctic Alaska. Matthew Mittler: Arguing for Localized Accessibility Modelling in the Rural Global South. Elana Oser, a Maryland native, has always been passionate about the environment. Beginning her undergraduate career at the College of Charleston, Elana had her first hands-on experience with sustainability as a participant on an Alternative Breaks trip to Zakynthos, Greece. There, Elana learned how to promote sustainable tourism, and conserve wildlife species and their habitats. After this experience, Elana was hooked on learning more about the environment and how to protect it. She transferred to the George Washington University her sophomore year, and declared her major in environmental studies to further explore her academic interests. Elana has been involved in a number of clubs and organizations, including participating in the first Eco-Equity Challenge cohort, and leading an Alternative Spring Break to Kanab, Utah, to work with animals. Elana loves to research sustainable solutions to the problems both current and future generations do and will face. Elana will be staying at GW after graduating to pursue a master’s in museum studies. With a focus area in exhibition development and design, Elana hopes to educate the public about the environment in innovative ways. Jenny Mannix has had a passion for the environment since her junior year of high school when she was introduced to an environmental science course. She came to GW as an international affairs major, but fell in love with geography after taking both human and physical geography the first semester of her sophomore year. With a little encouragement from departmental professors, she added the geography major and the GIS minor. Geography has since encapsulated her life from working as a staff assistant for the department, to working for a consulting firm as a GIS intern. She hopes to stay in the discipline by continuing to do GIS and eventually getting her master’s and maybe even a PhD in geography. Like most students drawn to the major, Max didn't come to GW planning to study geography. After an initial hook by Intro to Physical Geography, he was sold. Max's love for geography has no bounds, yet he has particular interest in leveraging open geographic data sources for humanitarian purposes. This lead him to spend a summer mapping Malawi's landslide susceptibility with NASA DEVELOP and his senior year working for the American Red Cross International Services Disasters' GIS team. Max looks forward to his future geographic career and above all feels an insurmountable amount of gratitude towards the Geography Department for introducing him to the field of study he learns to love more and more each day. Grace Doherty was a late bloomer to geography, first entering the field when she began her Master of Science at GW. But she has always been a geographer at heart: before moving to D.C., Grace worked as a legal assistant for undocumented immigrants and asylum-seekers in Minneapolis, guiding clients through the United States immigration system and interviewing them about their transnational journeys and ties to home. In her graduate studies, Grace was inspired by the unique mixed methodologies of her new discipline, and in her graduate summer she took to the field in Morocco’s rural southeast to lead participatory mapping workshops on rural development with local villagers. The process and product of these workshops became the foundation to her thesis on development data and rural accessibility. She later returned to Morocco to follow up with her participants, refining her participatory mapping lessons with village associations and digitizing their maps with GIS software. Grace presented her findings at the 2017 American Association of Geographers conference in Boston and is co-authoring a journal article on rural accessibility. Five MS students were awarded the highly competitive Campbell Graduate Research Grants. The grants assist with travel and other support for graduate research. Andrii Berdnyk and Sudie Brown received the Campbell award for their capstone research project "Incorporating Open Source Geospatial Technology for Disaster Risk Reduction in Mixco, Guatemala." Their research focused on helping vulnerable communities in Guatemala use open source mapping tools to mitigate, adapt to and recover from natural hazards. Brendan Cox received the Campbell award to research polling place closures in Texas following the Supreme Court decision Shelby County vs Holder in 2013. His thesis research considers if polling place closures affect certain groups of people in particular and whether these closures are used intentionally to suppress voters. Eddie Painter received the Campbell award for research conducted on D.C, soccer leagues and their communities. His thesis research examines the social networks that are formed through regular interaction on the soccer field, and analyzes whether these networks provide participants with access to social capital. The research focuses on migrant groups, who might use soccer leagues as a way to find community in a new area. Katie Cann traveled to Pedasí, Panama, this summer to complete fieldwork for her thesis with assistance from the Campbell award. While there, Katherine administered community surveys and conducted interviews with stakeholders in order to gauge local perceptions of conservation and tourism. Her research examines the contexts necessary for successful community-based conservation in spaces of tourism and coastal development. Grace Doherty received the Aramex Fellowship in support of international Arabic language training and social work with a local NGO, 2016. Clementine Andre, BA ’17, is now studying at University College London in the Department of Geography as a graduate student in the Master of Science in Global Migration. Claire August, BA ’17, is living in Washington, D.C., and is working as the executive assistant to the president & CEO at the Solar Energy Industries Association. Laura Bader, BA ’16, is enrolled in Duke University's Master of Environmental Management program through the Nicholas School of the Environment. Her studies focus on community-based environmental management and soil science. She looks forward to graduation in May 2018. Zand Bakhtairi, BA ’15, is a local government GIS Programmer/Analyst working on web and mobile solutions for data accessibility in the field. Zand is also teaching GIS and human geography at Old Dominion University. Danielle Barlow, BA ’17, has been putting her GIS minor to good use and is working as a GIS technician for a ALK Technologies, a navigation company in New Jersey, while she takes graduate classes from Penn State to work towards her master’s in GIS! Andrii Berdnyk, MS ’17, continues to work at the department as operations supervisor. He plans on taking more classes to add to his skill set and potentially pursue another degree. Kirsten Berg, BA ’95, is a senior environmental specialist at the Port of Long Beach. She is also finishing her MA in geography at Cal State Long Beach (after a long hiatus) and is excited to be taking a seminar from 2005 GW alumnus Dr. Lily House-Peters! Margaret Blackburn, BA ’15, is currently working in Yosemite National Park as an environmental science educator. She leads student driven research, citizen science projects, park stewardship, as well as science lessons in connection to the park for school programs. Jarryd Commerford, BA ’08, is a principal at the newly formed Summit Ridge Energy, which is backed by the climate infrastructure investment group Aligned Intermediary. Summit Ridge develops and finances solar pv projects across the United States, with a specific focus on commercial and community-focused projects. He has worked in the renewable energy industry for seven years, with expertise on developing solar projects in the Northeast United States. Outside of work, he travels frequently to satiate his need for geographic knowledge (recently back from Pakistan and Iran), having racked up over 100+ countries and climbing six of the seven Volcanic Seven Summits. Dana Cooper, BA ’06, founded a law and consulting firm, Cooper Moores, LLC, in 2017. Specializing in government affairs, environmental law and regulatory advocacy, CMLLC is a certified Maryland Woman-Owned Business Enterprise. Damon Coppola, BS ’96, MEM ’03, authored three new textbooks in 2017, including Communicating Emergency Preparedness (2nd Ed. ), Introduction to Emergency Management (6th Ed.) and Homeland Security: The Essentials (2nd Ed.). José Curbelo, BA ’12, recently finished his master’s in social memory and cultural heritage at the Universidade Federal de Pelotas (RS, Brazil), receiving the OAS/GCUB PAEC Scholarship. he is applying to the doctoral program in Society Culture, and Borders at UNIOESTE (Foz-PR). Emily Deanne, BA ’17, just started a paid communications internship at Friends of the Earth. She hopes to gain a little more experience and then hopefully transition to a full-time position within the environmental nonprofit world. Grace Doherty, MS ’17, will soon join FEMA in their capacity building and GIS data collection efforts in Puerto Rico following the destruction from Hurricanes Irma and Maria. Cole Ettingoff, BA ’17, now lives in San Francisco, works for an aviation consulting firm and begins a new program at UC Berkeley in the spring. Lara Fisher Crampe, MA ’00, is still working at Pure Earth, an NGO that identifies toxic sites around the world and cleans them up. She is currently running programs in Southeast Asia including a soil contamination and poverty level mapping project in The Visayas, Philippines. Stefanie Garry, BA ’07, has recently accepted a new position based in Geneva, Switzerland, with the United Nations Conference on Trade and Development (UNCTAD), in the Division for Africa, Least Developed Countries and Special Programmes. Thomas Gibbons, BA ’04, worked for ESRI as a project manager from 2005-2008. Currently, he is an architect at Eskew + Dumez + Ripple in New Orleans, La. As of this month, it's his fourth year with the firm. They try their best to fight the good fight on the sustainability side and practice what they preach. Chris Hart, BA ’16, has been employed as a contractor in the Office of the U.S. Global AIDS Coordinator and Health Diplomacy at the U.S. Department of State since he graduated from GW in May 2015. He works primarily on policy related to the financial and programmatic sustainability of national HIV/AIDS responses. His work has taken him to Mozambique, Kenya, South Africa and Cameroon. Outside of work, Chris is an active volunteer at the Washington English Center, where he teaches English as a second language and serves as chair of the Associate Board. Chris lives in Northwest Washington, D.C., and can frequently be found biking on local trails. Steven Herzberg, BA ’11, has been working at the law firm of Vazquez & Associates located in Miami focusing his practice on real estate law and aviation law. In May 2016, he married his wife Janelle who is an attorney for the federal government. Even as an attorney, Steven uses the knowledge he gained during his time as a geography major, as GIS and knowledge of general geographic principles is important for real estate development. In his off time, he tries to get as much traveling done as possible around the United States. and abroad. Melissa Hooper, BA ’08, has opened her own firm Level Up Talent Consulting after working worldwide with Fortune 500 companies. Using inside knowledge of recruiting and career development, she now works with job seekers 1:1 to help them navigate the recruiting maze. Sarah Jackson, BA ’12, MA ’16, currently works as a market analyst for the General Services Administration. She lives in Washington, D.C. with her fiance, Nathan and daughter, Olivia. Peter Joyce, BA ’13, is working for a government contractor in D.C. He is appreciative of his geography degree everyday! Michelle Katz, BA ’16, is working as a regional coordinator for the National Fish and Wildlife Foundation, helping to combat the spread of white nose syndrome in bats across North America, through research and innovative management grants. Devin Keithley, MA ’05, lives and works in Columbus, Ohio. After graduating from GW, he earned a second master's degree in city and regional planning from the Ohio State University in 2011. Devin recently joined the Ohio Housing Finance Agency as a research specialist, conducting research on affordable housing policy. Nathaniel Lewis, MA ’03, is currently an assistant professor in human geography at the University of Southampton, U.K. The focus of his research is on LGBT health and livelihoods. Nathaniel recently co-edited a special issue of the journal Area focusing on the intersections of field work and individual life course. In November 2017, he will be a visiting scholar at UMass-Amherst's School of Public Policy, funded through the World Universities Network. Keinan Marks, BA ’13, is currently working as a GIS specialist for the City of Los Angeles.Jenny Mannix, BA ’17, after graduation, decided to continue on with her education and gratefully accepted a place with GW's Geography Department. She is now working towards obtaining a Master of Science in Geography as well as a Graduate GIS Certificate. She hopes to use this degree in order to assist efforts in open source mapping for disaster management. Along with earning her degree, she is also a graduate teaching assistant for the department. She is currently one of two TAs for Introduction to Physical Geography (which just happened to be one of her favorite geography classes). She is in charge of teaching three lab sections a week and all of the grading that comes with it. Jon Moore, BA ’95, is a geographer with the Educational Testing Service. He and wife Anne welcomed the birth of daughter Stephanie on September 6, 2017. Ellyse Murphy, BA ’14, began a Master of City Planning at the University of Pennsylvania this fall. She writes, "The instruction I received from the GW Geography Department has played an instrumental role in preparing me for graduate school." Congratulations, Ellyse! Zachary Nirenberg, BA ’17, is now a management consultant working in transportation. Major projects in his group include work on high speed rail, autonomous vehicles, air traffic modernization and smart cities. David Ozer, BS ’17, is currently pursuing a master’s in remote sensing and geospatial sciences at Boston University. Jacob Pavlik, BA ’17, is the 2017-2018 Hillsboro Public Service Fellow. He is working between the Economic Development and Parks & Recreation Departments, and reports he consistently put on his geographer cap at work because he has to collect land use and real estate data and then map it. He also said that “classes I took as far back as freshman year are informing the work that I do, which is awesome.” One particular project he is working on is to assess the economic value of parks and recreation development, and is designing a study that will approximate how much specific parks are worth to the surrounding community. He says that it is gratifying to have learned so much in college about abstract topics like gentrification, and to now be actively participating in it from the local government side. Murray Pearson, BA ’66, attended The Catholic University of America after graduating from GW and graduated in 1979 with a master's degree in city & regional planning. He worked at the Defense Mapping Agency as a cartographic researcher and environmental assessment. He is now retired. Pete Peterson, BA ’89, was named dean of Pepperdine's School of Public Policy in Malibu, Calif., in 2016 after several years of heading up their Davenport Institute for Public Engagement. His office is across from his freshman year dorm at 2011 Pennsylvania Avenue! Alexander Pommer, BA ’13, since graduating, has worked in international governance development in Central and Eastern Europe where he works to improve the representativeness of democratic systems of government. Over the past year, Alex has traveled to Egypt and Jordan for pleasure, the Czech Republic and Macedonia for work and was the youngest observer chosen to represent the United States as part of the OSCE's 2016 election observation mission in Moldova. Daniel Reardon, BA ’00, accepted the position of chief compliance officer for the American College of Radiology in Reston, Va. He and wife Elizabeth welcomed their first child on March 11, 2017. Sam Salkin, BA ’08, is a year into working for the MTA in New York City as part of the Subway's Technology, Preparedness, and Communications team. Sam is getting an up-close look at everything that goes into making North America's largest transit system run. Avery Sandborn, MA ’15, is a geographer at the U.S. Department of Agriculture. In addition to classifying seasonal cropland, she recently helped to streamline Sentinel-1 radar data processing for flooding analysis due to the 2017 hurricane season. Zachary Schulman, Esq., BA ’07, MA ’09, started a new position as Arctic policy coordinator at United States Coast Guard. Gloriana Sojo, MA ’16, is currently a strategic communications and operations consultant at the Inter-American Development Bank (IDB) in Washington, D.C. She advises the head of the Citizen Security Team, who oversees the implementation of violence prevention and prisoner rehabilitation projects in more than 20 Latin American and Caribbean countries. If not speech writing in Washington, Gloriana spends most of her time in Colombia coordinating a project that leverages Big Data and geo-spatial analysis to better understand the underlying factors that lead to urban violence. She was recently elected to the board of the Dream Project, a community-based organization in Virginia that supports immigrant youth whose status pose barriers to higher education. Sarah Sullivan, BA ’07, is currently working in Virginia for the Prince William County Government as a GIS analyst in the GIS Division. Dana Thomson, BA ’08, is working on her PhD at University of Southampton in the United Kingdom. Her work is evaluating the accuracy and feasibility of using gridded population data, rather than census data, to select representative household surveys. Gridded population data integrates dozens of remote sensing and GIS layers with census data to redistribute population to 100m X 100m grid cells. As census data become outdated, gridded data can improve the resolution, as well as the accuracy, of the population distribution by modeling population in areas where new settlement were recently built or where unplanned communities might have been omitted in the census. If this hasn't bored you yet, have a peak at the beta website to select a gridded sample yourself. Dana spent August and September in Kathmandu, Nepal, supporting HERD International, a Nepalese research organization, to develop implementation methods for gridded population samples in a complex urban environment. Kathmandu is the fastest growing city in Asia, and it is clear from published household survey statistics that large segments of the poorest residents are not sampled using traditional survey methods; statistics paint an unrealistic rosy picture of high wealth and wellbeing. Trevor Tisler, BA ’11, is pursuing an MS in environmental modeling at Universidade Federal de Minas Gerais in Belo Horizonte, Brazil. His research uses GIS/remote sensing in planning railroads in the Amazon frontier and modeling the potential impacts on deforestation. Maianna Voge, MA ’12, was recently made associate director at GreenInfo Network, a nonprofit dedicated to mapping and information visualization in the public interest. Jamie Worms, MA ’09, obtained a PhD in geography at Louisiana State University in 2014 and is currently working as an assistant professor of cultural geography in the Latin American and Latina/o Program at Smith College in Northampton, MA. In fall 2017, she is teaching Introduction to Latin American Studies and Economic Geography of Latin America while implementing an ArcGIS Story Map as well as a WordPress blog in the classroom. Qi Yang, MA ’16, decided to apply for a PhD after gaining work experience from several different organizations in the D.C. area. Now he is preparing for it. Jennifer Young, BA ’16, started a new position with a gas utility company National Grid as an associate GIS mapping coordinator in New York City. Mahmoud Zawawi next to an exhibit of the ten most read books at Jordan’s top private library in 2015. The list includes Zawawi’s book Marvelous Cinema – The Best 100 American Films 1911-1913. Mahmoud A. Zawawi, BA ’68, MA ’70, after working for the Voice of America in Washington, D.C., for more than 30 years, including being the chief of the Arabic service for eight years, he headed the Voice of America's regional Middle East office for eight years. After retiring in 2002, he headed Radio Sawa's Middle East regional office in Amman, Jordan, for 11 years until 2013. As a film critic specializing in American cinema, he has authored 12 Arabic books on American cinema since 1988. He also writes for newspapers and cultural magazines and appears frequently in television interviews. A big thank you to Tom Burns (Geography, 2006) who surprised the Geography faculty with breakfast treats and really good coffee! We challenge all of our young alumni to consider making a donation—$75 covers the cost of a water test kit; $100 will cover the cost of one of the dinners on the senior camping trip in Mason Neck; $200 will cover the van rental; $1,000 will cover the cost of the cabins on the camping trip; $2,000 will fund student research! All amounts, no matter the size, make a difference! Click here to make a gift! The Department of Geography would like to gratefully acknowledge the following generous donors who made a gift to the department from July 1, 2016 – June 30, 2017. Gifts to the Department of Geography allow us to provide support for faculty and student research and travel, graduate student fellowships, and academic enrichment activities including guest speakers, visiting faculty, and colloquia. Each gift, no matter how large or small, has a positive impact on our educational mission and furthers our standing as one of the nation's preeminent liberal arts colleges at one of the world's preeminent universities.